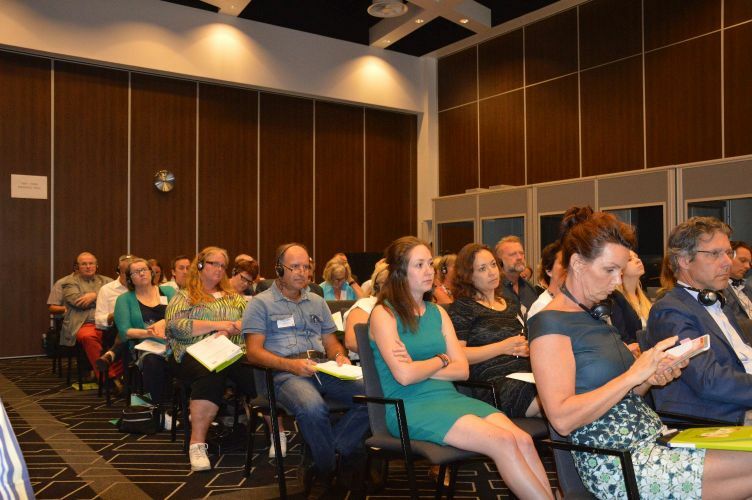 On 19 and 20 June 2017, HOSPEEM and EPSU – with the support of the Dutch HOSPEEM member Nederlandse Vereniging van Ziekenhuizen (NVZ) – organised the conference “Working together, learning together – Switching to the learning mode” in Amsterdam to pursue and deepen their thematic focus on Continuing Professional Development (CPD) and Life-Long Learning (LLL). 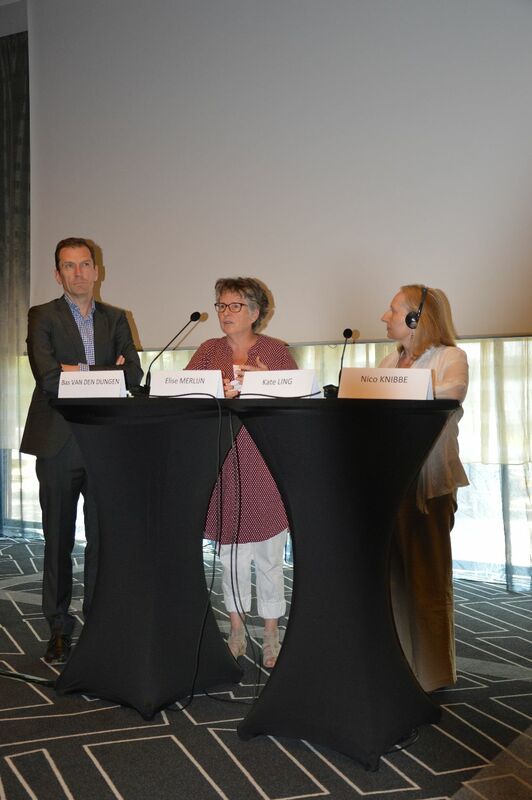 The event built on the HOSPEEM-EPSU Joint Declaration on Continuing Professional Development and Life-Long Learning for All Health Workers in the EU adopted in November 2016. In this document the sectoral social partners in the hospital and health care sector recognise CPD as paramount for the maintenance and improvement of the quality of care and patient safety. Access to CPD and career options are presented as supportive of effective recruitment and retention policies. 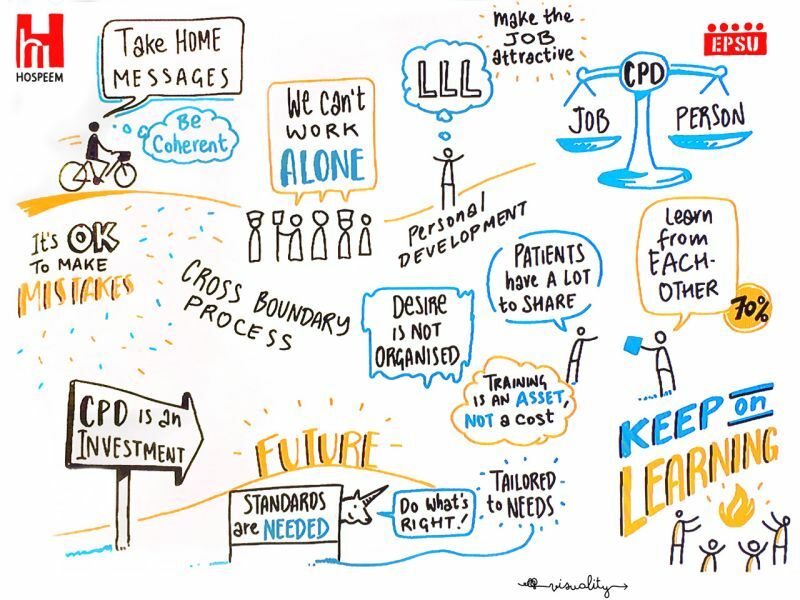 The joint declaration highlights that CPD and LLL initiatives should be considered as a long-term investment in the (productivity of the) health workforce and not as a cost factor. 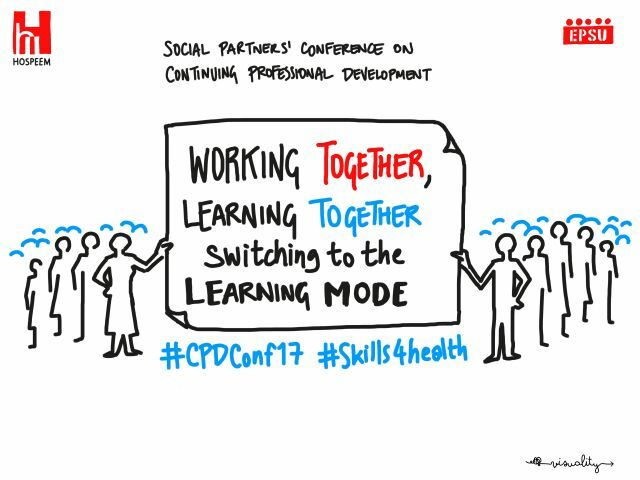 Social partners have a major role to play when it comes to CPD, in partnership with competent authorities and other relevant stakeholders. The declaration also states that undertaking CPD is a shared responsibility of employers and workers and depends to a large extent on the intrinsic motivation of employees to invest in their own development. 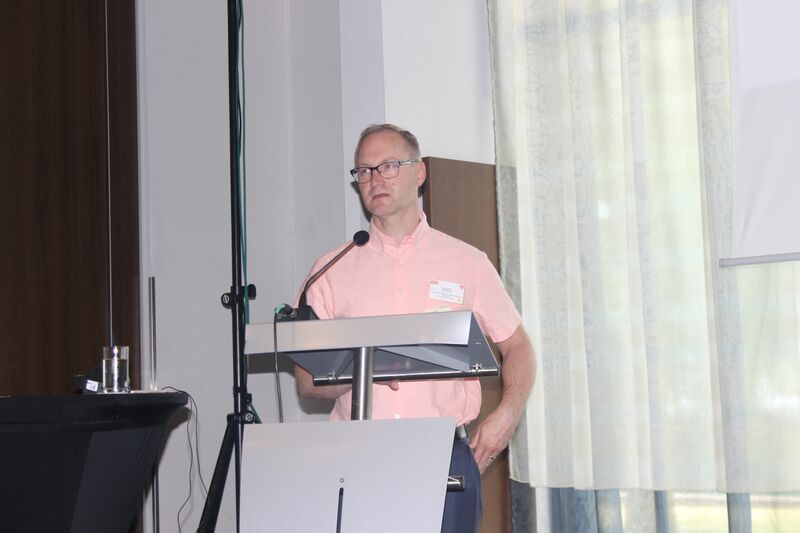 HOSPEEM and EPSU finally recall the importance of taking local specificities into consideration and respecting the different national legal and regulatory frameworks when designing CPD systems. 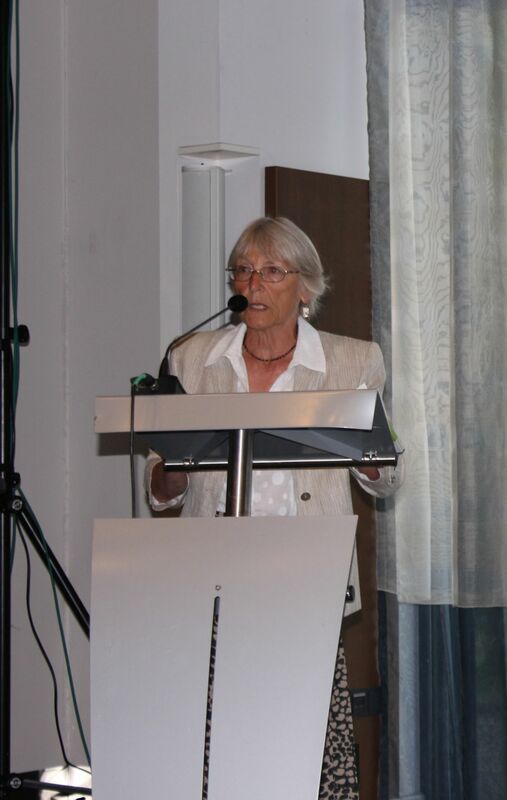 The conference provided a forum for exchange and debate on a number of social partner-based initiatives presented by representatives of HOSPEEM members and EPSU affiliates from Belgium, Denmark, Finland, France, Germany, The Netherlands, Sweden and the United Kingdom and on the key role played by social partners in this field. 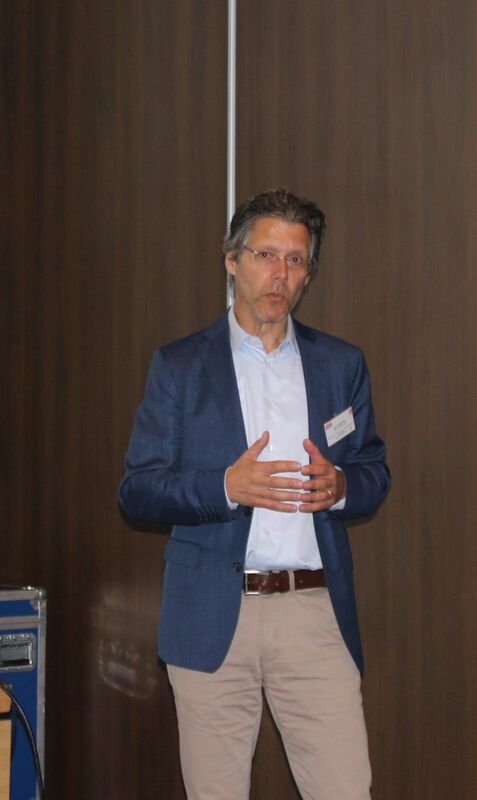 It offered the opportunity to learn more about supportive regulatory frameworks for CPD and about policy measures aimed at facilitating access to CPD, updating or upgrading qualifications, skills, competence and professional practice, the provision of quality services by a hospital/health care workforce fit for practice and at a high level of patient safety. 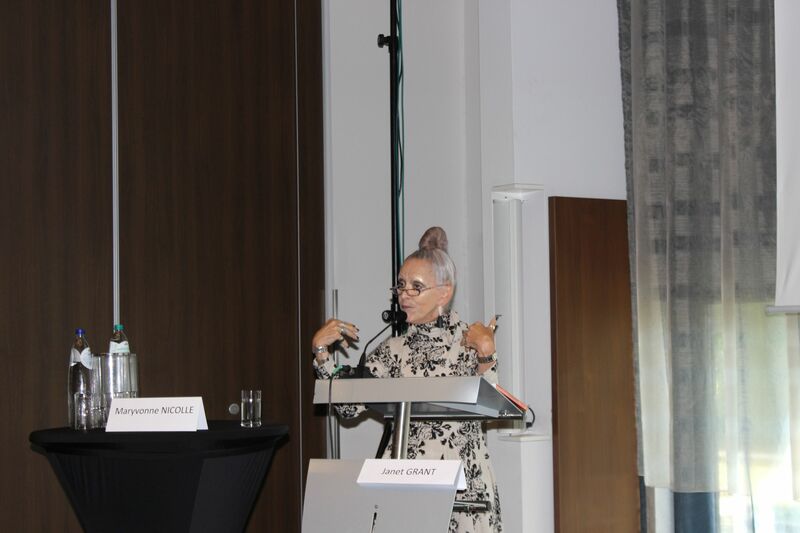 In addition, several researchers shared their insights and experiences during the plenary sessions or during one of the four thematic break-out sessions organised. 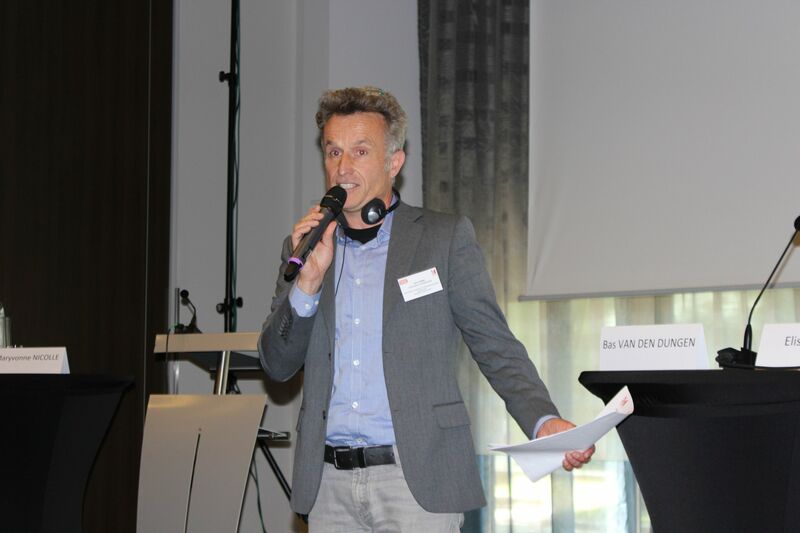 Balazs Lengyel of DG SANTE presented the main insights and selected conclusions and recommendations from the study “Mapping CPD and LLL for health professionals in the EU” – focusing on nurses, midwifes, doctors, dentists and pharmacists – issued in 2015 and commissioned by the European Commission. 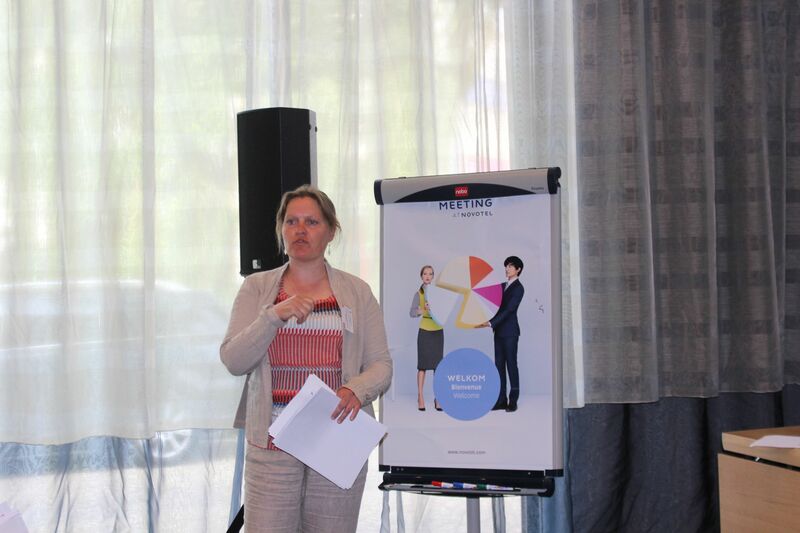 A range of aspects related to CPD was covered by the presentations and discussions at the HOSPEEM-EPSU conference. 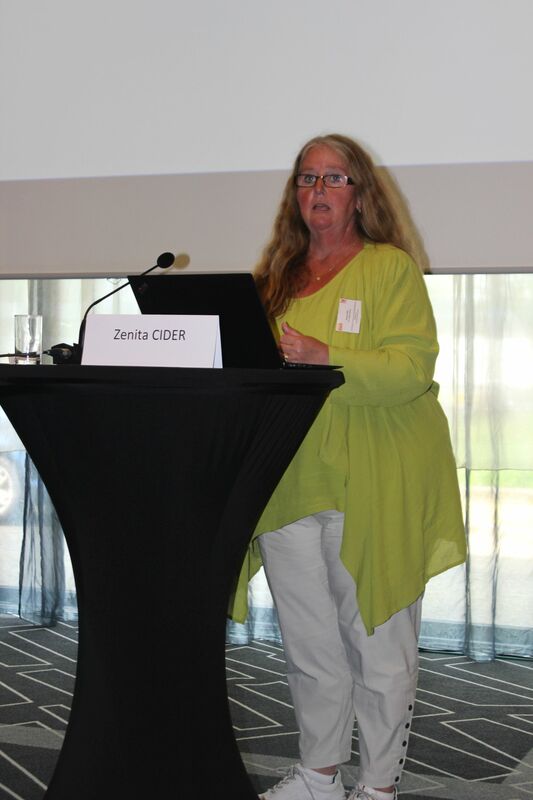 These include: How to ensure sustainable models of financing of CPD for all types of health workers? How to best make CPD available for all health workers in an equal manner across all age groups, occupational groups, working patterns and all types of contracts? What can social partners at the different levels do to give better access to groups often under-represented in CPD and LLL, such as health workers aged 45+, part-time workers or workers with lower formal qualifications (mainly health care support staff)? 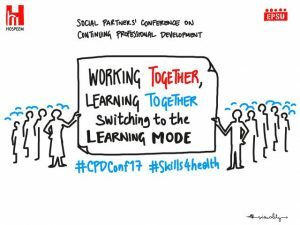 Which models of CPD to use to support increasing demands of working in teams bringing together different health professions? How to best organise CPD on the backdrop of an increasing digitalisation of health care services (e-health; m-health; telemedicine)? 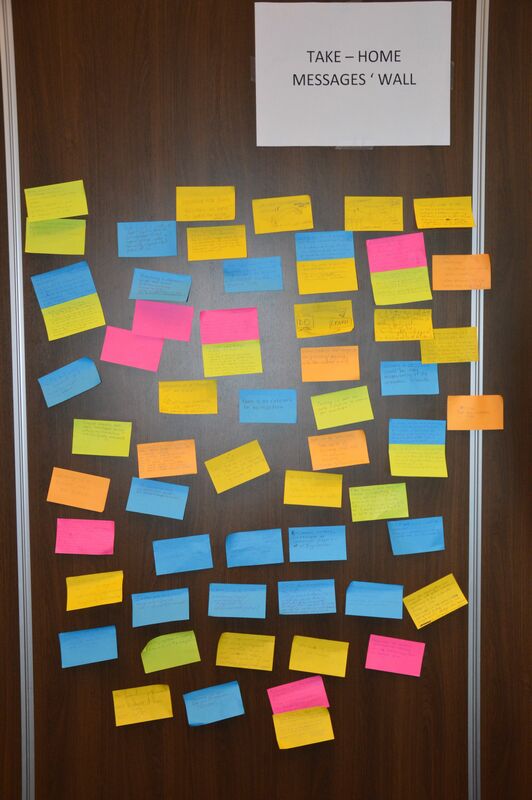 How to build CPD as a key element into team and personal development planning and organisational development strategies? How to develop a partnership approach in designing, organising, implementing and assessing CPD policies and tools at national, sectoral and enterprise level? Looking at the health professions, a particular focus was given to nurses, health care support staff and doctors. 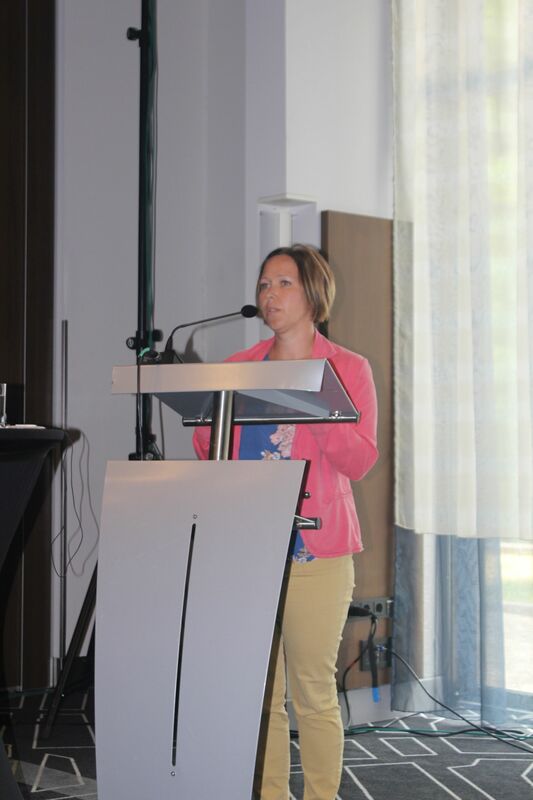 This was also underpinned by four short testimonial videos of Dutch nurses produced by NVZ about how they have benefited from CPD in their professional career and various work contexts so far and which expectations they have as to the organisation of CPD in the future. 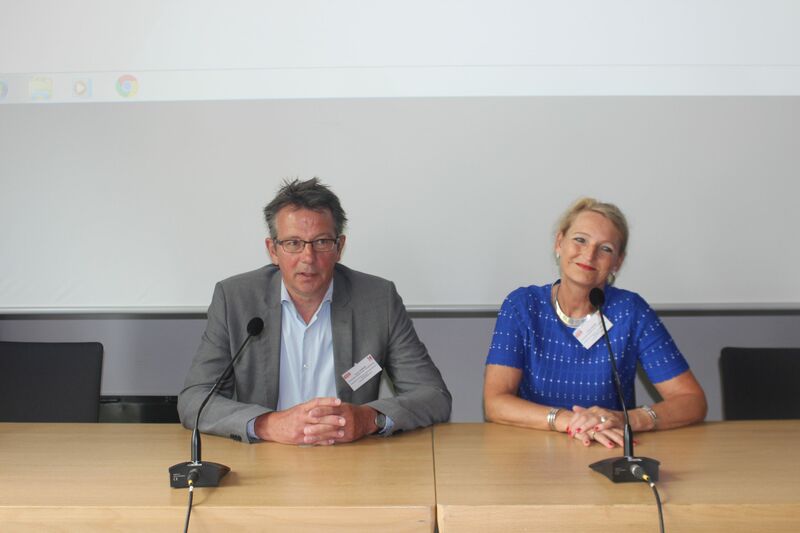 The conference was opened by a group interview involving Bas van den Dungen, representative of the Dutch Ministry of Health, Elise Merlijn, FNV, The Netherlands, representing EPSU, and Kate Ling, NHS, United Kingdom, representing HOSPEEM. 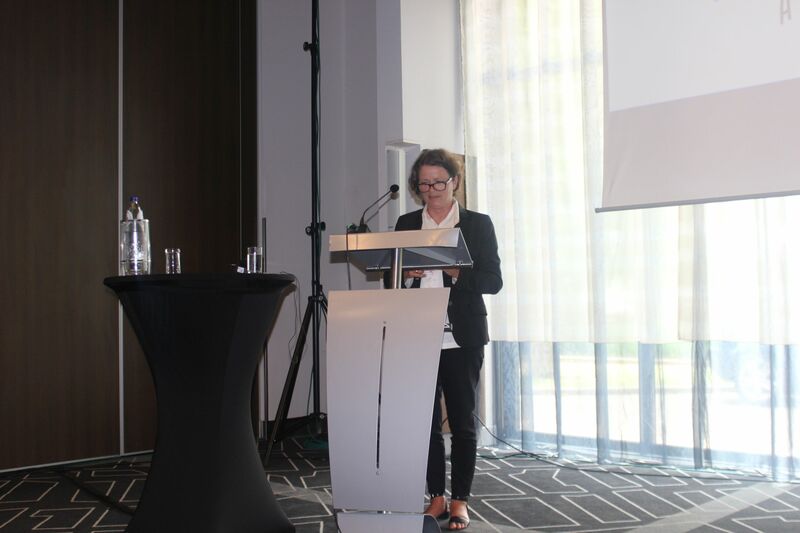 The social partner representatives highlighted some of the trade unions’ and employers’ priorities in the field of CPD and LLL, the key opportunities and problems to be addressed. 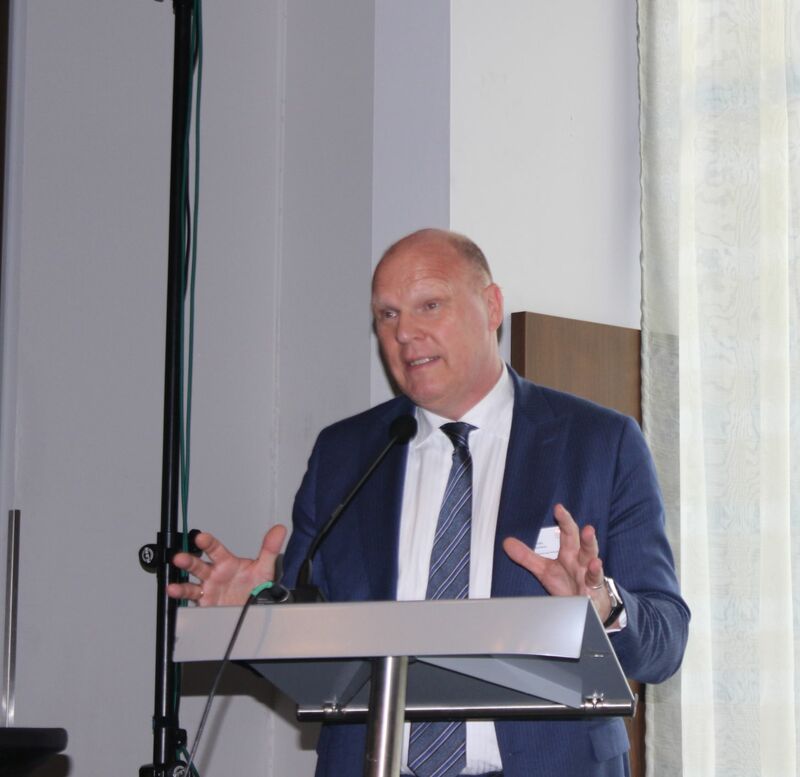 The participants watched a video message by Commissioner Andriukaitis in which he expressed his support for the Joint HOSPEEM-EPSU Declaration on CPD and LLL for all Health Workers in the EU and for the ongoing work of the sectoral social partners in the hospital sector in the field of CPD. 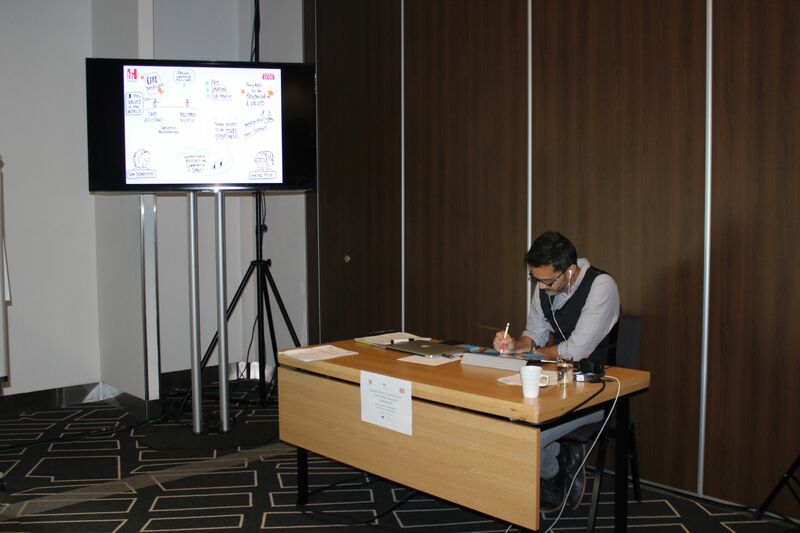 During the conference, participants were asked to write down and share the most relevant “take home messages” to them. 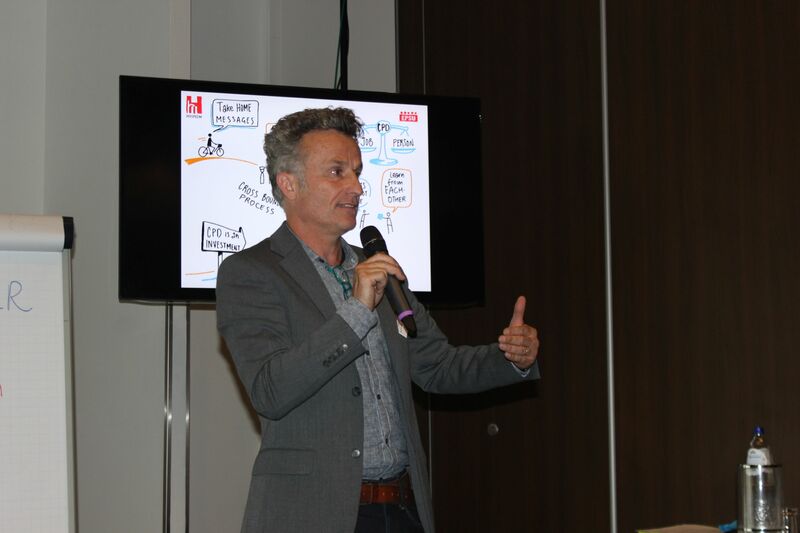 This input as well as visuals of a graphic recorder were used by the chairpersons and the moderator of the closing panel, Nico Knibbe, LOCOmotion, The Netherlands. 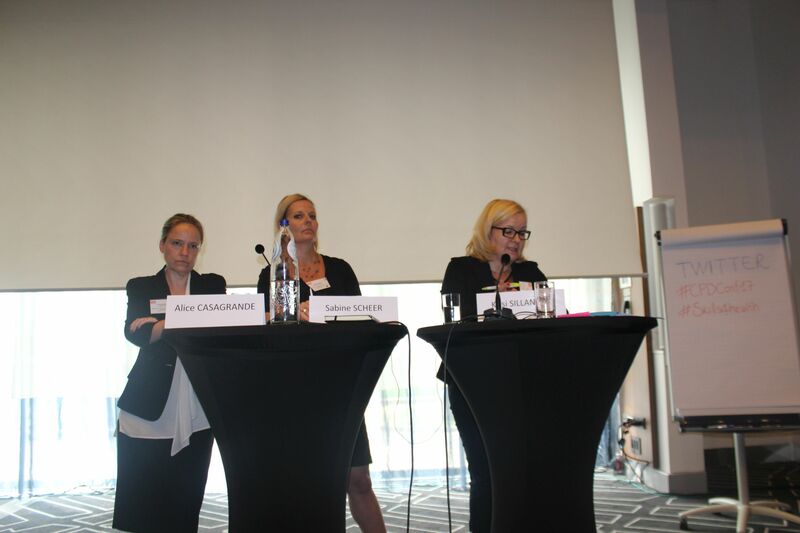 Wrapping up the conference, Sabine Scheer, NVZ, The Netherlands, representing HOSPEEM, Kirsi Sillanpää, Tehy, Finland, representing EPSU, and Alice Casagrande, FEHAP, France, pointed to their key “learning experiences” during the conference and highlighted the take home messages they consider most relevant. 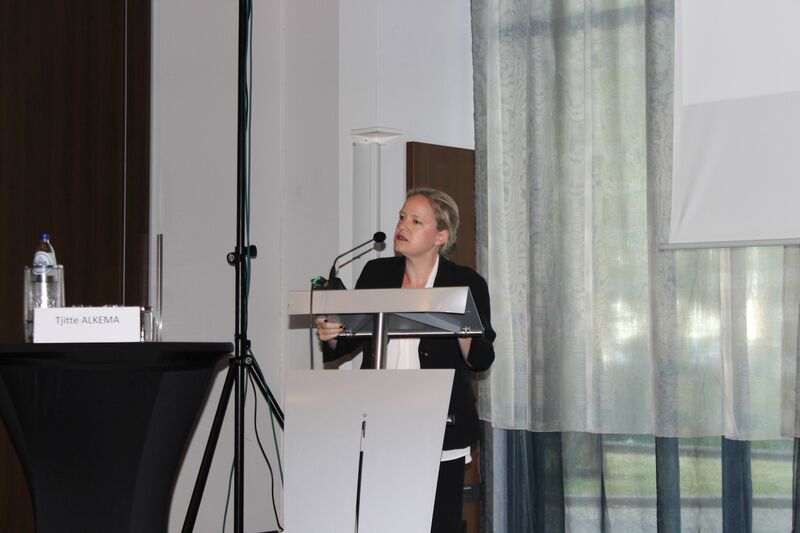 This conference was a key step for the sectoral social partners in the hospital and health care sector, HOSPEEM and EPSU, in identifying successful approaches, instruments and formats of CPD, both from the management and workers’ perspective. 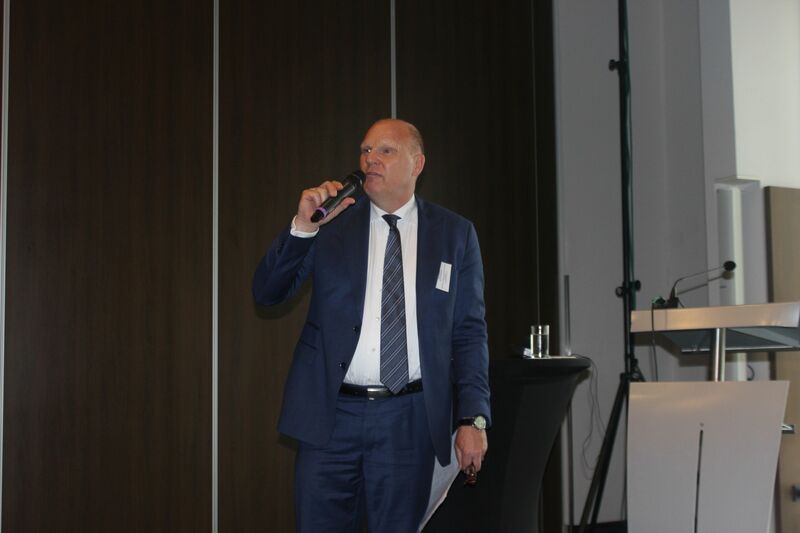 It brought together more than 100 participants from 18 EU Member States and 4 non-EU countries, including 35 participants from the Netherlands. 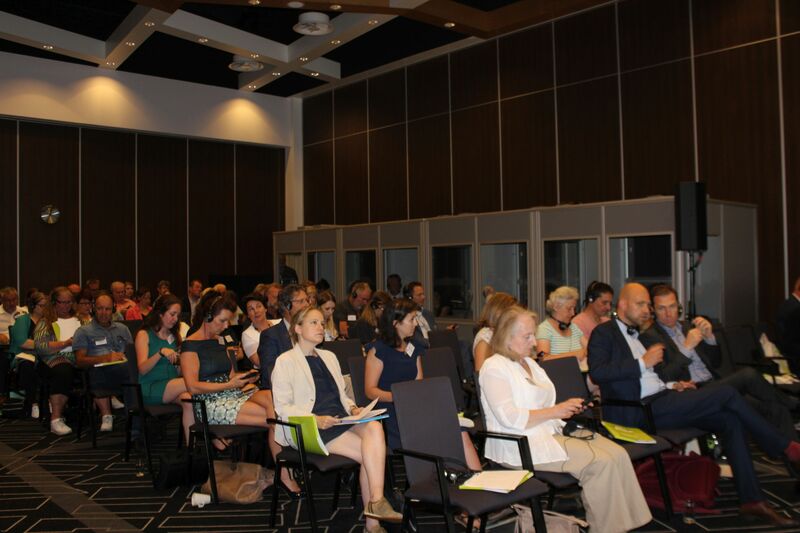 The event was organised in the framework of the HOSPEEM-EPSU EU-funded project “Promoting effective recruitment and retention policies for health workers in the EU by ensuring access to CPD and healthy and safe workplaces supportive of patient safety and quality care” (2017-2018) and a contribution of the hospital and healthcare sector social partners to the 2016-2017 EU-OSHA Campaign ”Healthy Workplaces For All Ages”. EPSU’s and HOSPEEM’s work on this issue will continue in 2017 and 2018. 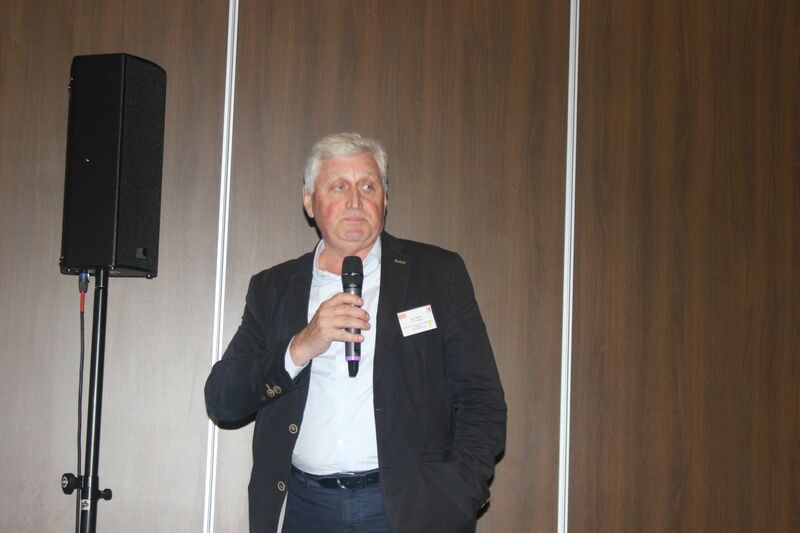 A report on the conference, also containing the key take-home messages, will be published by the end of 2017. It will be disseminated at national and at EU level and will feed into the future work of the Sectoral Social Dialogue Committee for the Hospital Sector on CPD. 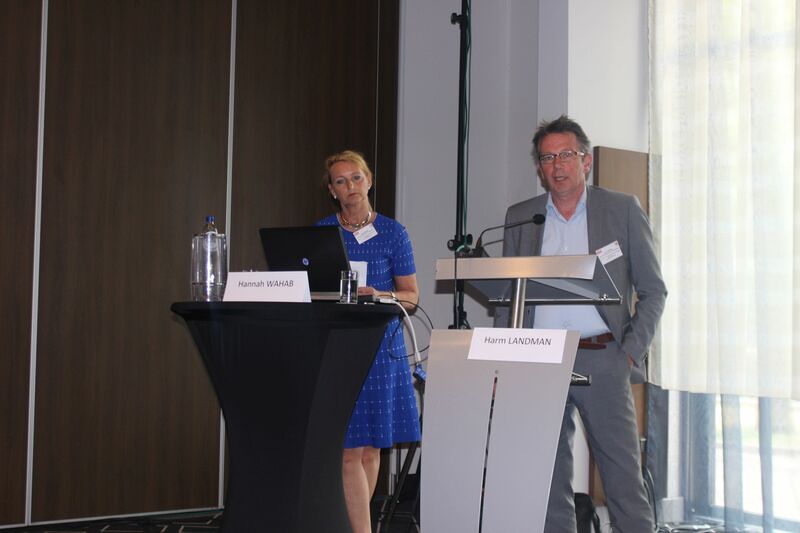 On 19 and 20 june 2017 the first conference of the HOSPEEM-EPSU project “Promoting effective recruitment and retention policies for health workers in the EU by ensuring access to CPD and healthy and safe workplaces supportive of patient safety and quality care” (2017-2018) took place in Amsterdam (co-organised by NVZ and supported by HOSPEEM). 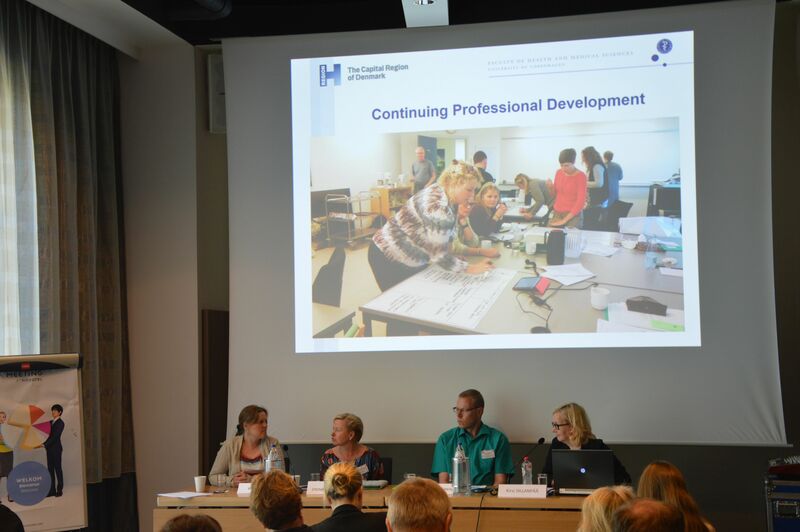 This conference entitled "Working together, learning together - Switching to the learning mode" contributed to raise awareness on the importance of continuing professional development and on the key role played by social partners in this field, building on the HOSPEEM-EPSU Joint Declaration on Continuing Professional Development and Life-Long Learning for All Health Workers in the EU adopted in November 2016. At the first meeting of the Sectoral Social Dialogue Committee for the Hospital Sector (SSDC-HS) in 2017, HOSPEEM and EPSU reached a final agreement of the Joint Work-Programme 2017-2019. It is structured around four major thematic priorities, i.e. recruitment and retention of health workforce, Continuing Professional Development and Life-Long Learning, Occupational Health and Safety and well-being, and Health care policy. Each sub-theme is presented with specific objectives, deliverables and a timeline. 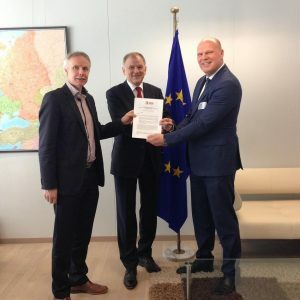 In 2017-2018 HOSPEEM and EPSU have been provided with financial support from the European Commission for a joint project in the field of recruitment and retention entitled: “Promoting effective recruitment and retention policies for health workers in the EU by ensuring access to CPD and healthy and safe workplaces supportive of patient safety and quality care” (01.02.2017-01-01-2019). 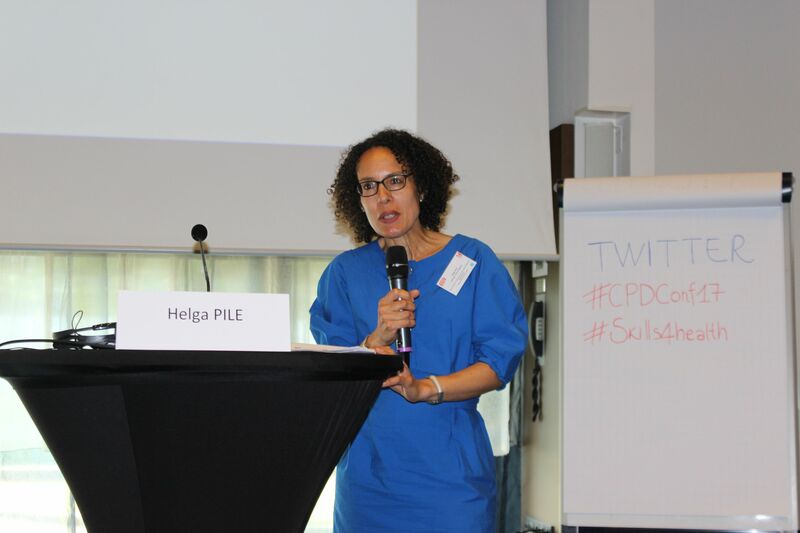 The project provided an appropriate framework to continue to focus on continuing professional development (CPD) as a first joint policy priority for HOSPEEM and EPSU. The work served to collect, discuss and evaluate social partner-based initiatives and policy measures on a range of aspects linked to the aim of facilitating access to CPD and guaranteeing quality services supportive of patient safety and provided by a workforce fit for practice. 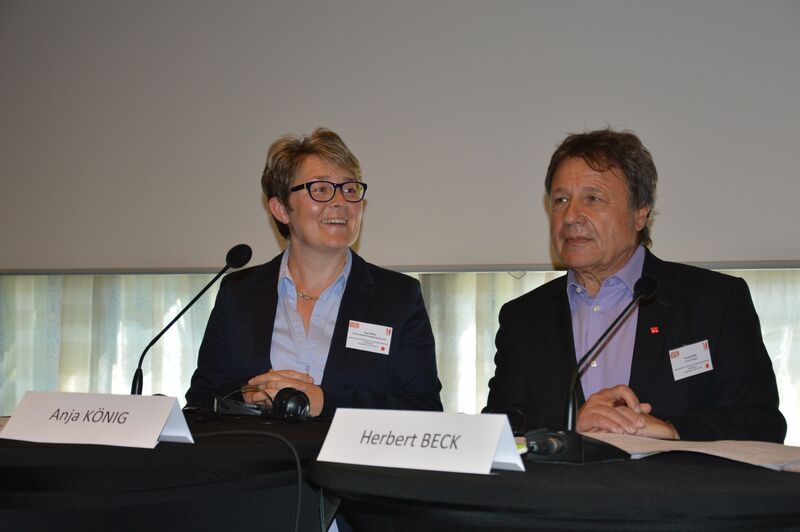 It will build on the HOSPEEM-EPSU Joint Declaration on Continuing Professional Development and Life-Long Learning for All Health Workers in the EU. 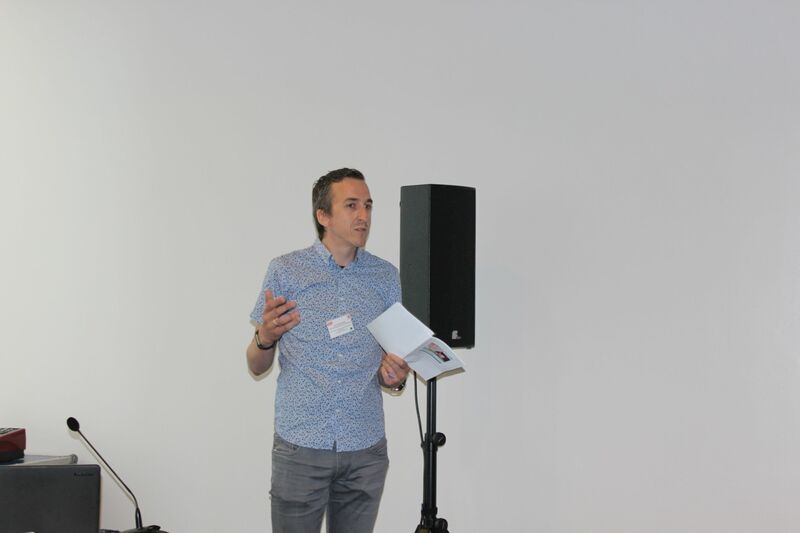 The project produced a report from each conference and a brief document summarising the main insight, conclusions and recommendations of the project. The information collected, the project results and recommendations will be fed back into the regular work of the Sectoral Social Dialogue Committee for the hospital/health care sector (SSDC HS) to be further discussed and assessed, in particular in view of their use to influence EU-level policy making. 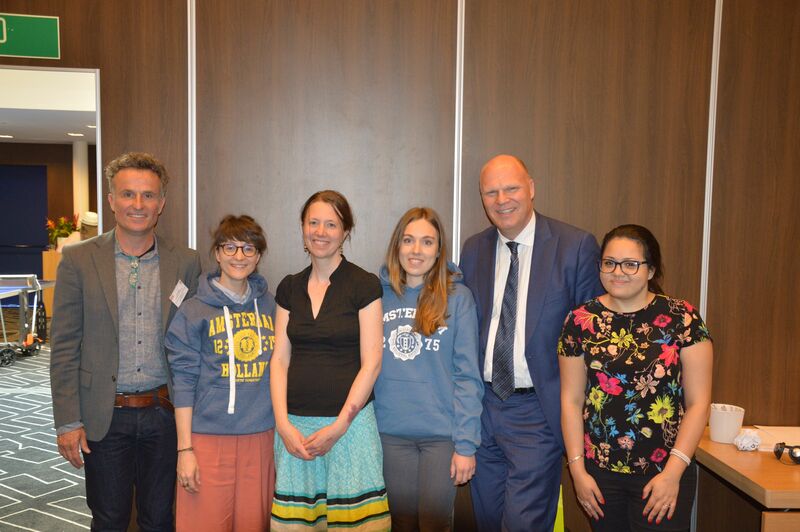 This first conference took place on 19-20 June 2017 in Amsterdam (co-organised by NVZ and Dutch partners, supported by HOSPEEM). 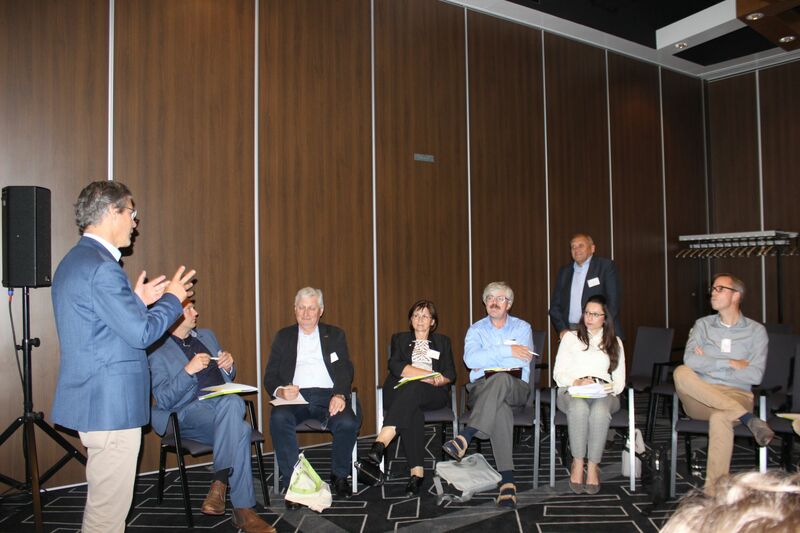 This second conference took place in Vilnius on 23-24 May 2018 (co-organised by LSADPS and supported by EPSU). This dissemination workshop will take place in Brussels on 3 December 2018 (organised by HOSPEEM and EPSU, hosted by MEP Jana Žitňanská, ECR, Slovakia and MEP Brando Benifei, S&D, Italy). The EU hospital social partners HOSPEEM and EPSU adopted a HOSPEEM-EPSU joint declaration on Continuing Professional Development (CPD) and Life-Long-Learning (LLL) for all health workers in the EU in November 2016, after several months of work and negotiations. It is addressed to all workers in the hospital and healthcare sector in an equal manner, irrespective of age, profession and employment contract. The agreement emphasizes the major role social partners have to play in the field of CPD and LLL, in partnership with competent authorities and other relevant stakeholders, and on the respective responsibilities of employers and workers. 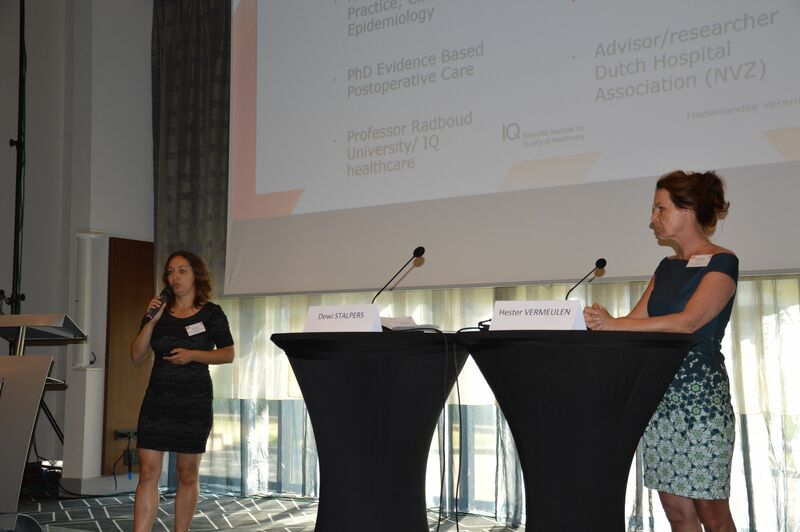 In the joint declaration, HOSPEEM and EPSU stress that CPD and LLL initiatives should be considered as a long-term investment in current and future qualifications and competences of the health workforce and not as a cost factor. The joint declaration aims at providing inspiration, guidance and support to social partners in their actions in the field of CPD and LLL in the different Member States and at encouraging investments in this field. It is structured along a statement of key principles that should guide activities undertaken in the field of CPD and LLL. The principles are general and can be used at all levels by all stakeholders. The HOSPEEM-EPSU joint declaration will be enriched in 2017 with a separate document gathering existing good practice examples. This document will be elaborated in the context of the joint HOSPEEM-EPSU EU-funded project (VS/2017/0017) “Promoting effective recruitment and retention policies for health workers in the EU by ensuring access to CPD and healthy and safe workplaces supportive of patient safety and quality care”. 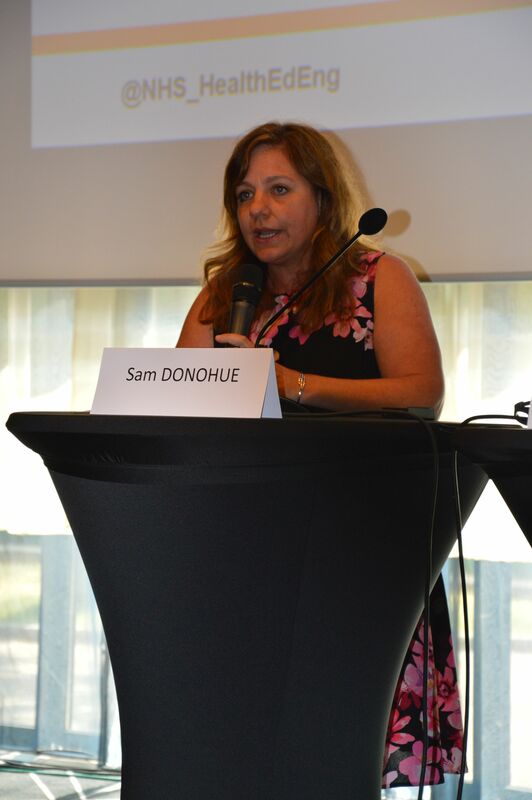 HOSPEEM and EPSU were invited to present their joint declaration on the occasion of the DG SANTE Expert Group “European Health Workforce” on 22 November 2016. The joint declaration is now available in English, French, German, Spanish and Swedish. A patient safety package was recently published by the European Commission highlighting how the Commission and EU countries are addressing the challenge of patient safety, progress made since 2012 and barriers to overcome as foreseen in a Council Recommendation of 2009. While significant progress was made in terms of shaping national programmes for patient safety and putting in place systems for patients to report adverse effects, patient safety is still seldom addressed in education and training of healthcare workers. 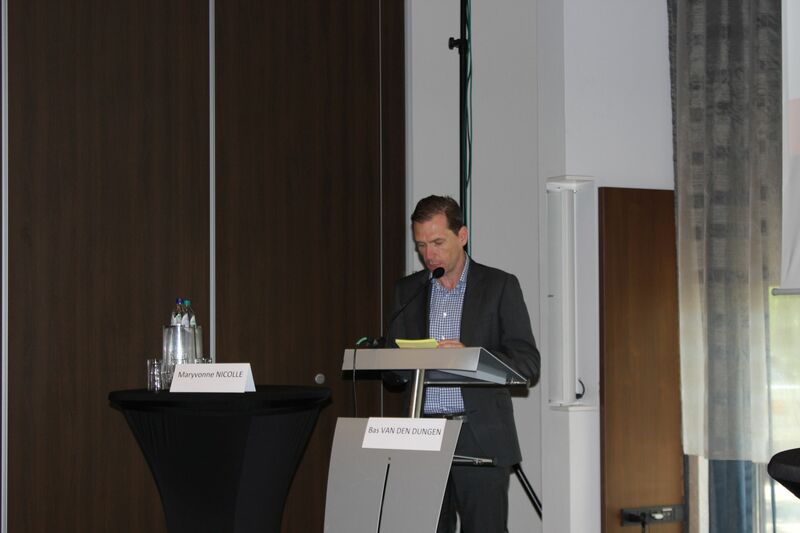 The documents will feed into the reflection process on future EU-level action on patient safety and quality of care. 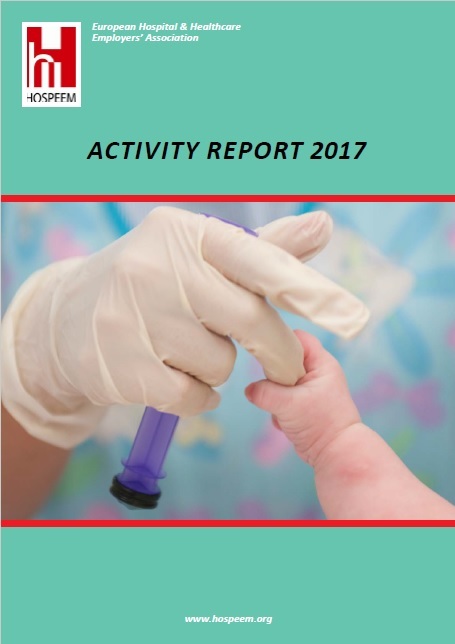 Of particular interest for HOSPEEM members are the report and recommendations on education and training of health professionals included in this package. The recommendations take into account the reported initiatives of education and training in patient safety, illustrated with examples and experience from 27 European countries, and complemented by a list factors necessary to their implementation. To read more about the patient safety package, click here.